All liveries for the A320/A321 Extended should be compatible with the new A320/A321. There is just one file you will have to replace. 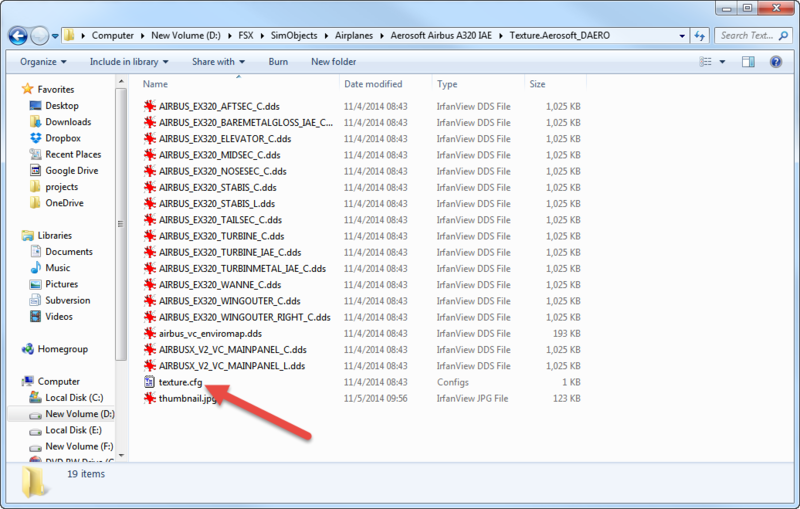 There are a number of liveries which have an additional folder (Update AirbusX Extended) along with the folders you would expect. Should they be removed? I've attached a copy of the readme file for your information. only use the files intended for the Extended. Just one more thing to clarify. As per rsvette12's post, can I use the livery manager? Or will I have to manually copy folders, files and create the aircraft.cfg entry manually? If all is well (so the repaint follows our standard) the aircraft.cfg is updated by the livery manager. The livery manager should work fine! I have installed the liveries with no issues. I do have one question..... where have the "NEO" gone? Where do I install those textures? works with the A320. Tried it with the A321 one as well, but gave me a shadowed tail and front section. I guess you can remove the red line here but i didn't try that yet. All manually done, not with the livery manager. Don't know how it works there. Mathijs, will the livery download pages be updated to show those liveries for which this additional step isn't required (ie, those that are natively new A320/1 compatible)? Sorry with hundreds of liveries that will not be easy. We'll will try (or rather ask the developer) to make the livery installer more intelligent though. Which liveries did you install? I'm having a few issues where they come out dark and the A320 liveries look too light. I have installed every livery I had previously installed with the A320 and A321. I did have an issue with darkness with the A321. I installed the texture.zip file from above and revised it for the A321 (as written in the post above). All is perfect. So do you put the texture.zip into the old AXE or the new A320/A321? Also would it ask you if you want to replace the file? I am only asking because i never makes changes this deep to my FSX and don't want to mess things up. Thanks for the assist. "Failed to Start the Flight Model"
And I get the error message: "Failed to Start the Flight Model" when I try to select the livery from the initial FSX window. I have tried the above instructions on replacing the Texture.cfg file. And I get the error message: "Failed to Start the Flight Model" when I try to selct the livery from the initial FSX window. I have tried the above instructions on replacing the Texure.cfg file. Are these sharklet models? I learned recently that the livery manager doesn't cover the air file and model reference. Go into the aircraft.cfg and make sure that "model=SHARKLET" and "sim=A320" or "A321." Hi Pilate, yes,that did it. Thank you so much !!! How do you expect anyone to help if you do not mention which aircraft you are downloading and for which version ? It is not that difficult to install any Airbus repaints into ALL variations following several topics that have been posted here on the forum . If this was not the case , no one would have any repaints installed at all . Repaints made for the AirbusX work perfectly in the Extended but have to be installed by hand as the Livery Manager was released some 2 years after they were uploaded here . First unzip , place the texture folder into the folder for the corresponding type , open the aircraft.cfg and place the text supplied with the repaint using Copy and Paste , change the line [fltsim.??] to the next ( consecutive ) number . Compare the lines sim= and model= that they are the same as other entries . The VC textures made for the AirbusX will not work in the Extended ( or vice versa ) which results in no registration or SELCAL codes being visible . Repaints made for the Extended or the latest model can be installed using this method or the Livery Manager but the aircraft.cfg has to be checked in the lines sim= and model= for the NEO ( sharklets ) models . This information can be found in several topics here on the forum and the answer to your problem has been given .